Back in 2013 I created a custom papercut for Eric & Angela's wedding. 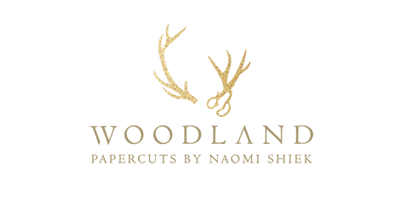 I think their papercut was the first 16X24 inches big I made? 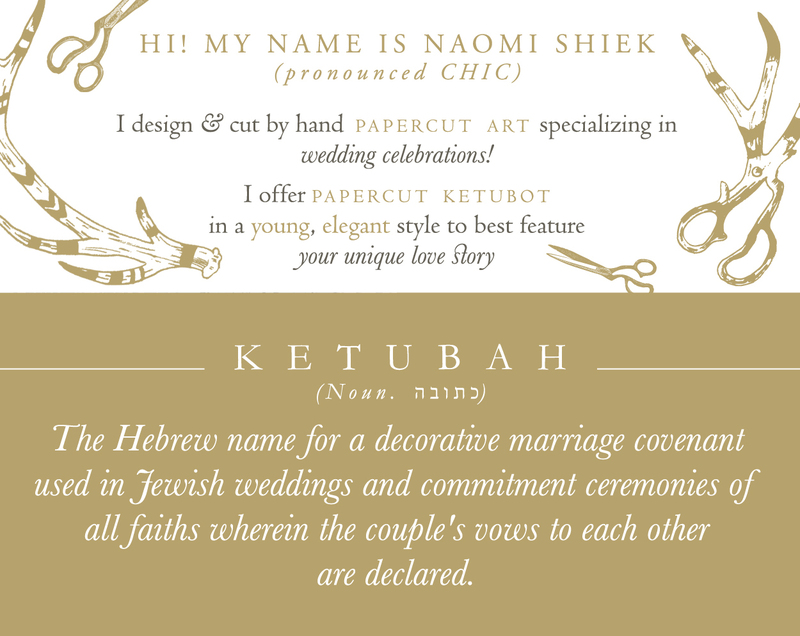 Their ketubah was a modern version in three languages that celebrated the scenic landscape of Texas. Sadly I have no good photos of it (what am I doing here?) but imagine a desert landscape of Texan cliffs, a river snaking across the land, and a great tree. It is I N C R E D I B L E !!!! The more Angela and I look at your handiwork, the more we love it (and we thought we loved it before). We are so glad you were the one to make this custom heirloom that will be with us the rest of our lives. Your creativity, artistic eye, and execution of the design is breathtaking. We thank you, sincerely, for how easy it was to work with you as well. The response time, the ease of going through the design phase, and your own enthusiasm in all those steps made it a joy to go through the process with you. I recently found an email they sent a year ago (gosh, how time flies!) that made me tear up. As a wedding vendor I send out my artwork to the clients and then rarely hear from them again. That this note came years later is truly unique - and I can't believe I've been doing this long enough to get feedback years later! We just wanted to say hi and acknowledge your handiwork hanging on our wall as we have passed it so many times for over three plus years now. On the evening of the wedding rehearsal a car ran through two stop lights and crashed into Angela's parents' car. They were in the hospital and couldn't make the wedding. We ended up going through with the ceremony, not knowing what was ahead. To make a very long story short, we later lost Angela's dad and her widowed mom can't drive but therapy is still improving issues. And now, over 3 years later, the headaches with all the hospitals and collections and insurance and lawyers might finally be coming to a close. I write this because I want you to know that our ketubah has been looked at during many difficult times during the years. We love it, and the message on it would end up being more appropriate and give hope than we could've imagined before the wedding. It is truly our heirloom. The Lord used your skills to bless us and it still does...we pray you are blessed as well! To be truthful I am bombarded with humanity's ugliness on a nearly daily basis when I step outside of my studio and this work is a comfort and a boon to me. I had just heard from other papercutters I admire that they would describe themselves as hermits, as do I. I know I need that home shelter. We sit in silence alone and bring forth beauty we hope people will cherish and cultivate in their own homes. It's so humbling and comforting to know that it does. 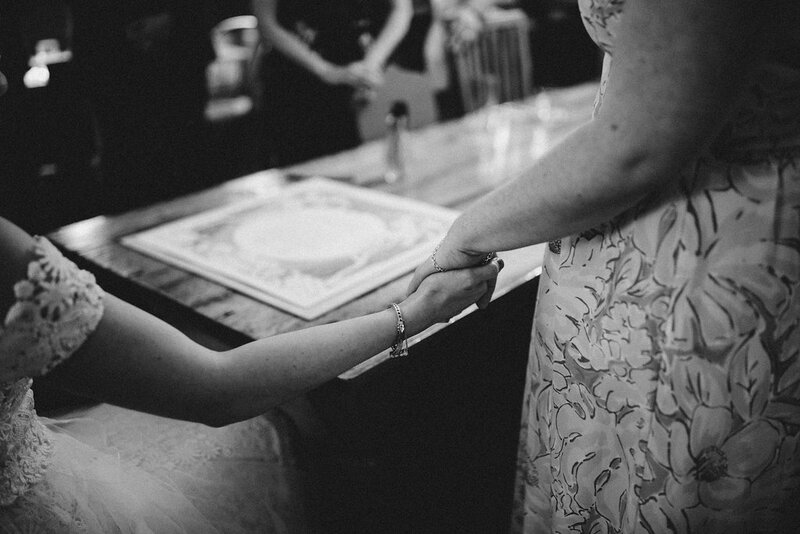 IMAGE SOURCE | Photos of Stephanie & Lae's wedding taken by The Spragues. 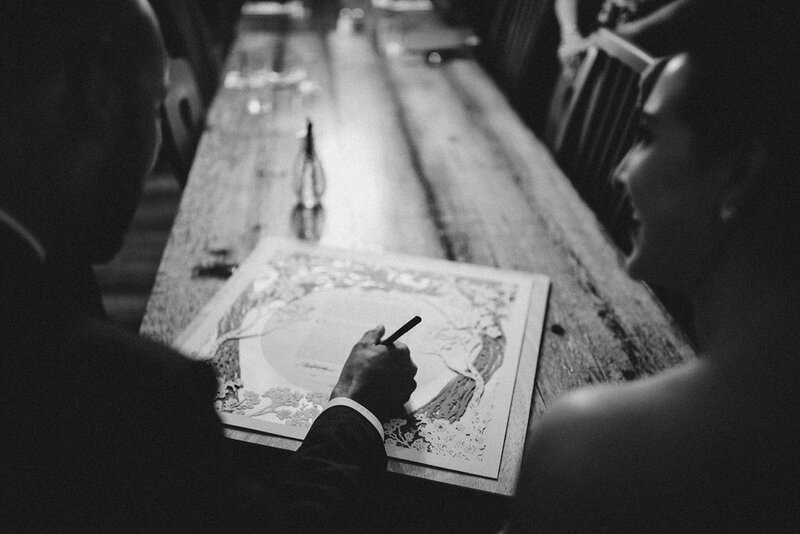 Photos feature the Twin Cherry Trees ketubah, which is available in the shop.